I have been wanting to try some products from the brand ‘The Balm’ for quite some time now but never could convince myself to pay that kinda price for something I can’t see or feel in person.. 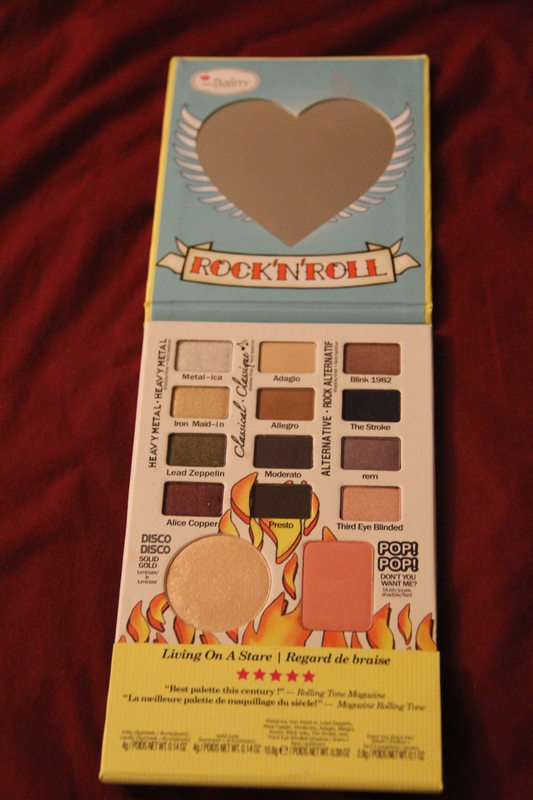 I finally got sucked in after listening to Emily Noel on YouTube and reading on her blog (http://www.beautybroadcast.net/) and purchased the Rockstar palette Balm Jovi.. 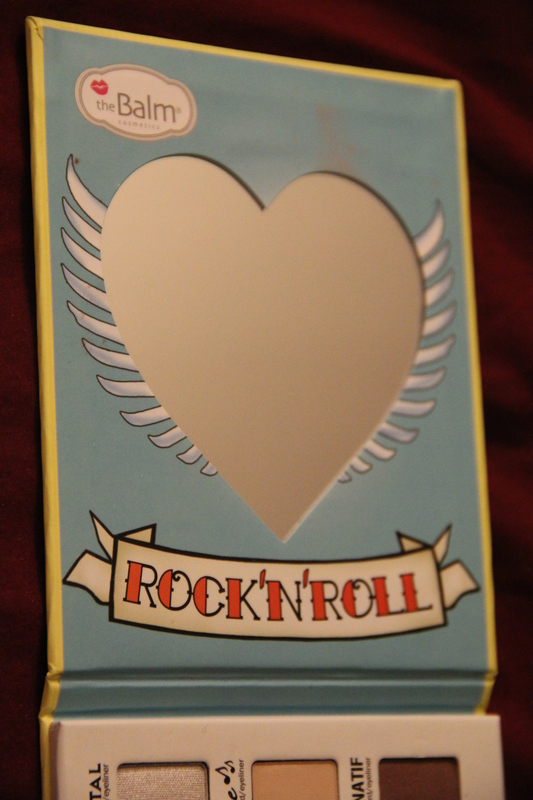 I instantly fell in love with the creativity and clever designing of the palette.. It is such a sleek palette, yet is sturdy.. It’s perfect for travel since its not bulky like most palettes that have more than eyeshadows.. 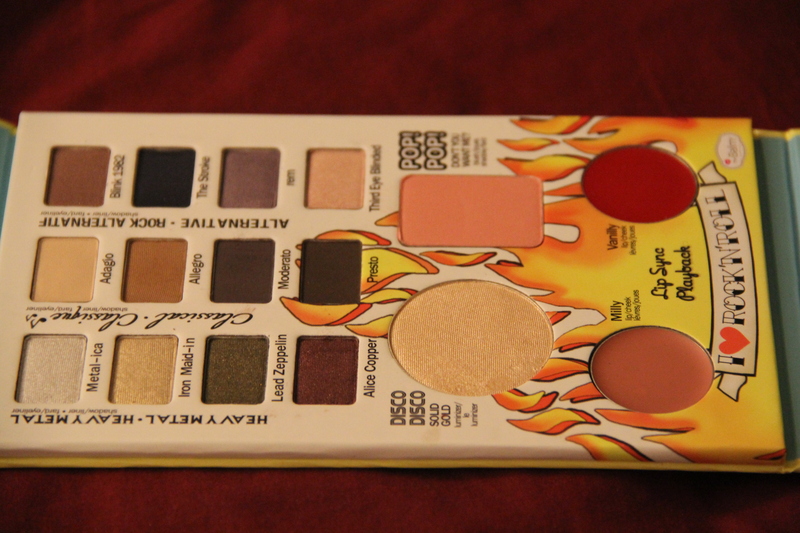 The palette includes a mirror, 12 eyeshadows, a beautiful highlighter, a blush and two lip & cheek colors.. 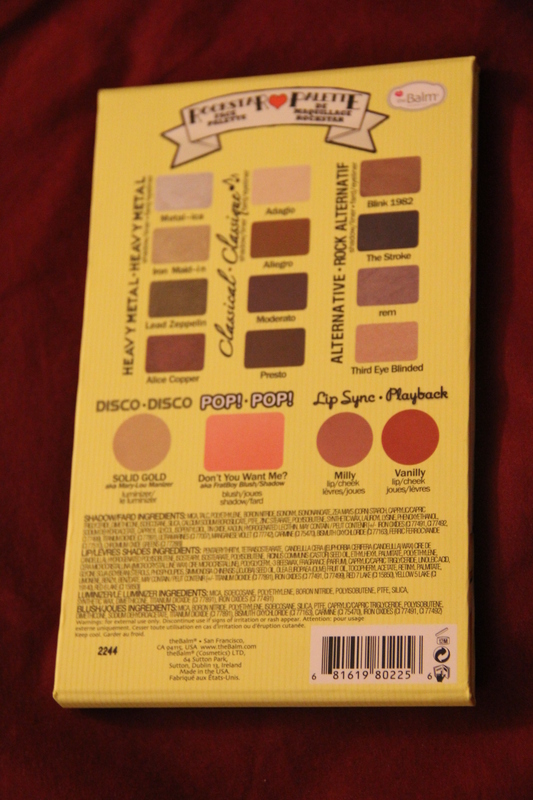 The Balm was clever about separating the powders from the lip & cheek colors by making a separate partition for the later..
Back of the palette giving an overview of what’s inside and listing ingredients.. 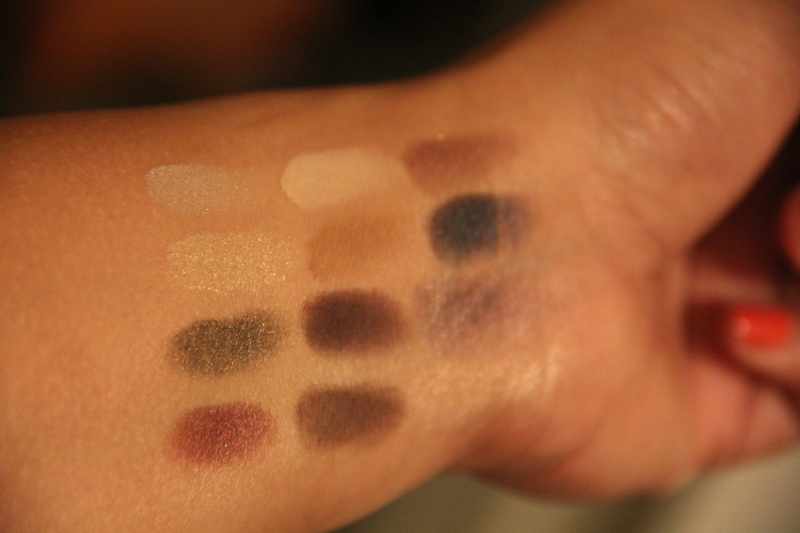 The 12 eyeshadows include 4 shimmery, 4 matte and 4 satin colors.. So, there’s something for everyone.. The names are witty and are based off of rock artist names.. although I am not sure if the colors truly represent the artist! 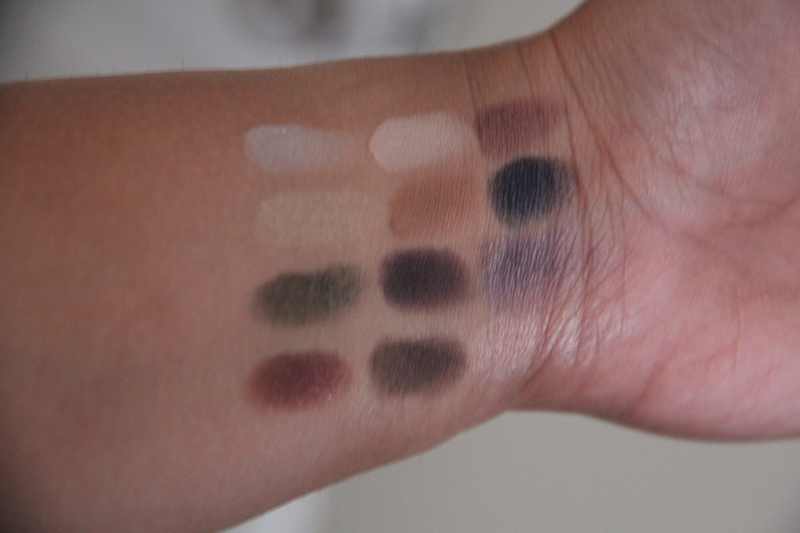 Anyway, the texture of these shadows is smooth.. even for the matte shades.. 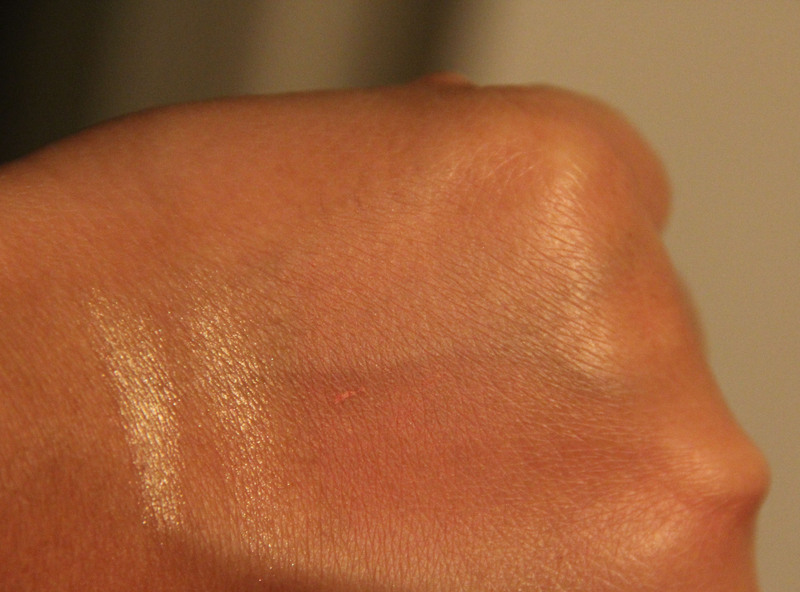 It glides on comfortably on the eyelids and has a good payoff.. 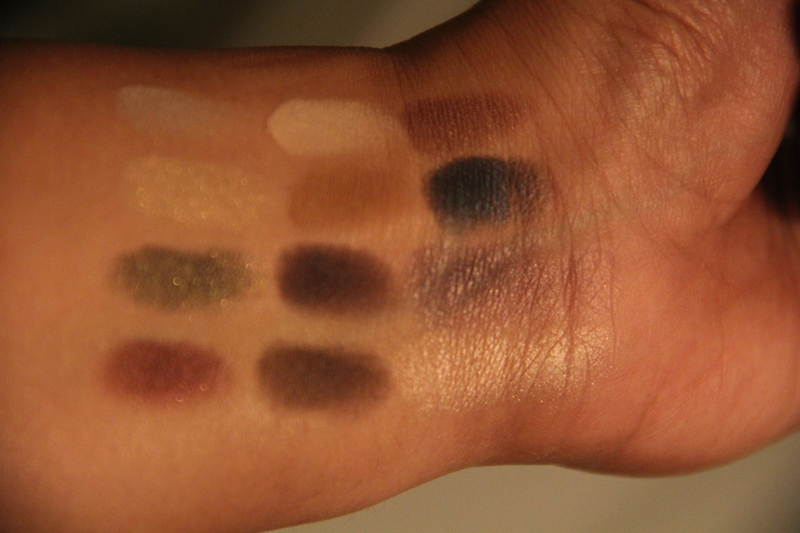 I think all the colors are pretty much true to what you see in the palette… The swatches will surely vary depending on each person’s skintone… So, the dark navy blue color called ‘The Stroke’ looks more like black on my skin tone due to my yellow/brown skin..
Close up of the 12 eyeshadows..
Palette opened up on top.. Note the flap for the lip & cheek colors..
Palette opened completely… displaying the lip & cheek colors.. 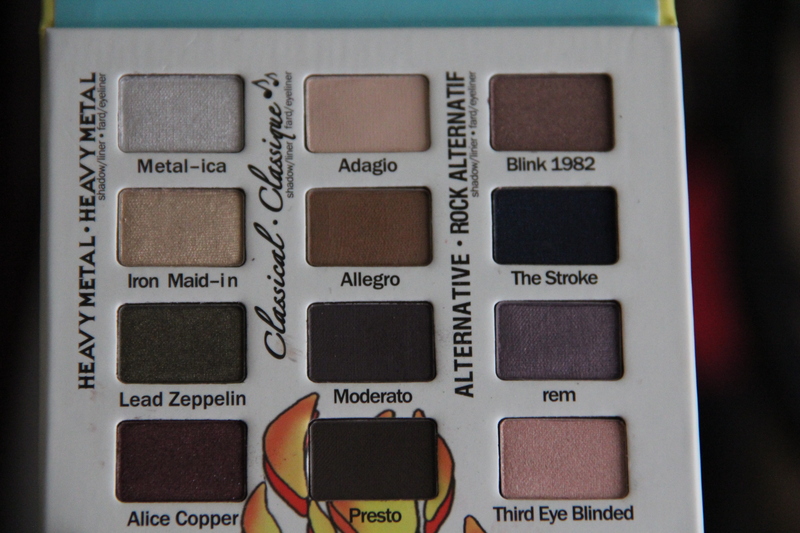 The mirror on the top half of the palette.. The blush is a simple peachy color.. It’s nice but not my favorite.. 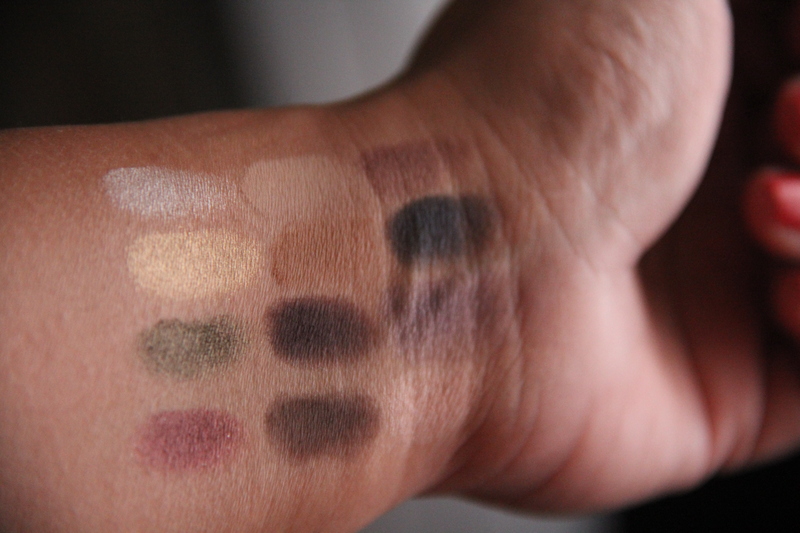 It may look better on lighter skin tones..
Swatch of the highlighter and blush – Left: Direct swatch of Highlighter; Right: Highlighter blended out; Far right: Blush from the palette.. The lip & cheek colors are creamy and very pigmented.. They apply smoothly and last for a few hours on the lips.. I haven’t tried them on my cheeks yet since I have oily-combination skin and its spring season.. may try it in winter.. The quality of these products makes me want to try more from this brand… Looking forward to the experience..